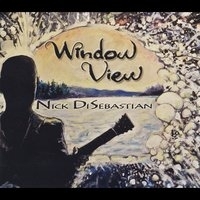 This CD from talented multi-instrumentalist Nick DiSebastian is a welcome addition to the FGM Records catalog. The material on this album has a heavy focus on the acoustic guitar. Nick recorded original songs and instrumentals on this record in addition to a few traditional bluegrass songs, songs written by his contemporaries, and a traditional instrumental or two. Some of the best young acoustic musicians participate on this album. The band is Ashleigh Caudill on bass, Mark “Huggy Bear” Lavengood on dobro, Christian Sedelmyer on fiddle, Kyle Tuttle on banjo, and Nick on the guitar. Brent Truitt engineered and produced the project. Multi-instrumentalist and teacher Nick DiSebastian is one of the young influential musicians of today. Currently based in Nashville, TN holding a passion for bluegrass, jazz and many styles in between, Nick is performing and educating across the country.